genuine interest in serving the community. Benjamin J. Song, MD is board certified by the American Board of Allergy and Immunology. 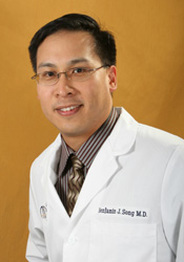 After obtaining his B.S in Chemical Engineering from Stanford University, Dr. Song left the west coast to obtain his M.D. at the University of Michigan. He, subsequently, completed a combined internal medicine and pediatrics residency before studying allergy at the renowned National Jewish Medical and Research Center in Denver, Colorado. Under the tutelage of Drs. Atkins and Bock, he developed a keen interest in food allergies. He returned to Michigan to join the Allergy and Immunology Associates of Ann Arbor, eventually becoming a principal partner. He has had a passion for treating patients with food allergies, even before he, himself, developed a shellfish allergy seven years ago. He has participated in food allergy research trials as part of the Respiratory Research Institute of Michigan. He also has been featured in the, “I’m Not Nuts!” documentary about food allergies. In addition to lecturing at multiple grand rounds to educate primary care physicians about food allergies, he has also volunteered his time to promote food allergy awareness in local schools and daycare centers. For the last decade, he has served as the medical advisor for the Food Allergy Children’s Team, a local food allergy support group of the FARE (Food Allergy Research and Education), formally FAAN (Food Allergy and Anaphylaxis Network). Xiu-Min Li, MD, MS is a Professor of Pediatrics in the Division of Pediatric Allergy and Immunology, at Icahn School of Medicine at Mount Sinai. Dr. Li obtained her MD degree in Henan School of Chinese Med. 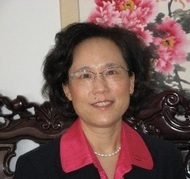 Zhengzhou, China in 1983 and a Master’s degree in Clinical Pediatric Immunology from The Graduate School of China Academy of Chinese Medical Sciences, Beijing where she was trained in clinical pediatric immunology research, and practice of integrative Western and Traditional Chinese Medicine. She was Visiting Scientist at Stanford before completing a postdoctoral fellowship in Clinical Immunology at the Johns Hopkins School of Medicine, Asthma and Allergy Center, Baltimore, and was appointed instructor in 1997. Dr. Li was recruited to the Division of Pediatric Allergy and Immunology at Mount Sinai when the division was established in 1997. In the past 17 years as a physician scientist she has dedicated her research to investigating novel therapies for asthma and food allergy. Dr. Li has a unique combined expertise in allergy and immunology, molecular biology and Chinese herbal medicine. She is sponsor of US-FDA approved clinical studies of investigational new botanical drugs for asthma and food allergy. In addition to the clinical studies, she has established immunobiology and botanical chemistry laboratories. Her research has resulted in nearly 100 publications. As a graduate school and pediatric department faculty member, she mentors clinical and research fellows, graduate students, and junior faculty many of whom received career development grants. Her work is recognized nationally and internationally. She has given many invited presentations on developing botanical drugs for food allergy and asthma, including the 2009 Gail G. Shapiro Memorial Lecture at the American Academy of Allergy, Asthma and Immunology. Dr. Li also served as vice Chair and then Chair of the American Academy of Allergy Asthma and Immunology (AAAAI), Complementary and Alternative Medicine Practices in Allergy Committee from 2009 to 2013. Dr. Li also served as Chair, the First East-West Scientific Conference on Allergy & Traditional Medicine (EWAT). She is director of a Center for Integrative Medicine for Allergies and Wellness. Her research funds come from NIH, industry, private organization and individual gifts. Both her research and practice have attracted public attention and she has received significant philanthropic funds for her research. A book about Dr. Li’s research on food allergy entitled “Traditional Chinese Medicine and Western Medicine, Western Science and Search for a Cure” by Henry Ehrlich has been published. 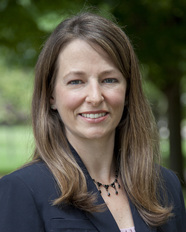 Catherine C. Peterson, Ph.D earned her Ph.D. in clinical psychology from The George Washington University with an emphasis in child health psychology. She completed fellowship training in pediatric psychology at the Children’s Hospital of Philadelphia and Case Western Reserve University/Rainbow Babies & Children’s Hospital. She has held faculty positions in departments of pediatrics and psychology at Case Western Reserve University, the University of Michigan, and now at Eastern Michigan University. Her research focuses on the psychological and cognitive functioning in children with medical conditions, with a particular interest in the impact of the medical condition on the family. Dr. Peterson is also a licensed clinical psychologist with a specialty in cognitive assessment and is interested in examining assessment and intervention for families of children with medical conditions. Current research projects in her Pediatric Psychology Lab at EMU include an examination of the family impact and psychosocial outcomes in children with severe food allergies, including the child’s allergy self-management behaviors, parent worry, family burden, and activity restriction. She and her graduate students have had several allergy-related presentations recently accepted to regional and national conferences. Anne F. Russell, BSN, RN, AE-C is Director of Food Allergy & Anaphylaxis Michigan Association. She has specialized in the field of food allergy for over 20 years after clinical and administrative experience at the University of Michigan Health System (UMHS) in Pediatrics, Critical Intensive Care and Neonatology. She served as President of Food Anaphylaxis Education, Inc. which was an educational nonprofit serving MI. She created and served in the role of Food Allergy Program Coordinator & Administrative Specialist at the UMHS Division of Allergy & Immunology while co-creating the Food Allergy Program. 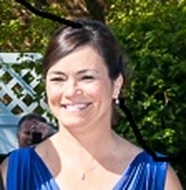 She has clinical and administrative experience as a food allergy nurse consultant/educator in primary care pediatrics and as a School Health Director she coordinated and provided health services for acute and chronic care management including individualized food allergy student health plans, staff training and oversight. Her professional food allergy interests include advancing interdisciplinary clinic models and staff/patient education, public health education, school food allergy management and research. She has developed curriculum for food allergy education and provided presentations on food allergy management at many conferences and schools. Anne has collaborated on food allergy state and federal legislation and on state and national teams of healthcare professionals on food allergy educational and research projects. Her clinical scope of practice in food allergy has included: initiation, creation and implementation of food allergy patient/staff education materials, clinic policies and conferences; coordination/monitoring of oral food challenges; patient assessment, care planning and evaluation of interventions; research; case management and patient/family food allergy education. She is a member of the American Academy of Allergy, Asthma & Immunology serving on the Anaphylaxis Committee, Adverse Reaction to Food Committee and subcommittees. She is a contributor and reviewer for the Anaphylaxis & Administration of Stock Epinephrine Tool Kit produced by the MI Association of School Nurses. Mrs. Russell is also a contributor and reviewer for the Food Allergy Guidelines for MI Schools in collaboration with the MI Department of Education and MI Department of Community Health. She is also a guest reviewer for Training Standards for the Administration of Epinephrine Auto-Injectors in collaboration with the CA School Nurses Association. She is nursing faculty at Spring Arbor University. Her scholarly work includes primary authorship of journal publications on food allergy daily management, clinical patient education and school food allergy management. 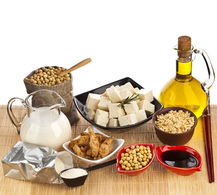 She has also provided peer review on food allergy related articles for several medical journals including the American Journal of Preventive Medicine. Mrs. Russell is a contributor to AllergyHome.org, and food allergy/anaphylaxis writer for the Association of Asthma Educators. Ms. DeCraene views the school nurse component of her dual role as adding a very different dimension which is constantly changing, challenging and exciting. As a result of the increasing number of students with food allergies in schools, Ms.DeCraene has developed programs to address food allergy school management which benefit students, parents/guardians and faculty. She recognizes that for children with health concerns, coming to school is the first of many, often frightening, steps in becoming independent. Ms. DeCraene appreciates the importance of safety, skill development and education, and therefore has been highly involved in policy development as well as training and education programs for students, parents/guardians, faculty and administrators. Being in the school every day, getting to know the children and families over time, as well as working closely with Food Service and school administrators creates a unique perspective to managing all sides of food allergies (and other health concerns) in the school setting. 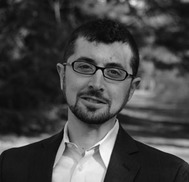 Michael R. Dorfman, Esq completed undergraduate studies at the University of Michigan and earned his J.D. at the University of Detroit-Mercy Law School. 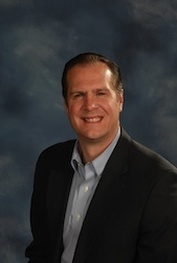 His law practice is located in Bloomfield Hills, Michigan at Nykanen Dorfman, PLLC. 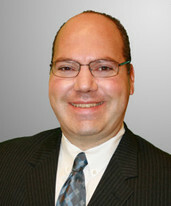 His areas of practice include Commercial Litigation, Education Law and Transportation Litigation. Attorney Michael Dorfman is an experienced litigator helping business owners, professionals, partnerships, and individuals protect their interests in an aggressive and professional manner. Mr. Dorfman has represented and defended clients in complex civil cases in state, federal, and appellate courts. He is known and respected for his wide range of knowledge and record of success in the courtroom. He also represents families with students in special education when schools deny legally-entitled services to students and other educational issues such as food allergies, expulsion and suspension, and other educational-related disabilities. Mr. Dorfman is often sought out by advocacy groups and educational professionals to speak regarding the application of federal and state education laws and has published extensively on these issues. He is often quoted in newspapers, radio, and television regarding his high-profile cases. Common sense, professionalism, excellent writing skills, and drive are what has made Attorney Michael Dorfman successful in handling the needs of clients in and out of the courtroom. He lives with his wife Wendy, and three children in West Bloomfield where they are active in the community and sports. 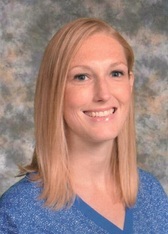 Leigh Fitch, MA, SCL, LLPC is the School Counselor at Our Lady of Good Counsel School in Plymouth, Michigan. She grew up in metro Detroit amongst a large extended family with whom she is very close. Leigh feels fortunate to be married to a wonderful man and have an adorably energetic two-year old son. Ms. Fitch earned a Bachelors degree in Psychology with a minor in Social Work from the University of Dayton in 2007. She then went on to pursue a Masters degree in Counseling from Oakland University. 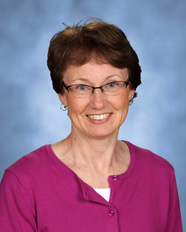 Her passion has always been helping people and she is currently dedicated to supporting the young children and families at Our Lady of Good Counsel Parish School in Plymouth, Michigan. Anne Mervenne, BS is President of Mervenne & Company. She is also a food allergy advocate. 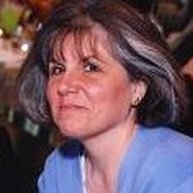 We are very grateful to Linda M. Stachura, RN-BC, BSN, MSN for her assistance regarding continuing education contact hours for Registered Nurses.